The credit crunch has hit a deal between Aboitiz Equity Ventures and Kuwait-linked investors to buy the Philippines largest domestic shipping company, Aboitiz Transport System. 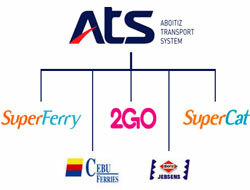 KGLI-NM Holdings made an offer earlier this year to acquire Aboitiz"s 93% stake in ATS for Pesos4.5bn ($95.2m), however it has now scaled back plans and will be buying 49% of the shipping firm, with an option to acquire the remaining 51% next year. ?Due to the difficult financial environment, [KGLI-NM] were not able to raise the 100% financing. We will give them time to raise financing for the balance until September 30, 2009,? AEV chief financial officer Steve Paradies told. KGLI-NM comprises local group Negros Holdings and Management, which holds a 60% stake and Kuwait-linked KGL Investment of the logistics group Kuwait and Gulf Link. Under the renegotiated deal, KGLI-NM will be acquiring a 42% stake in ATS from Aboitiz, and will make a offer for the 7% of shares publicly traded at a later date. The Kuwaiti-linked investor has the option to aqcuire Aboitiz"s remaining 51% stake between May to September next year at the same price of Pesos1.84 per share, plus a premium of 9.5% annualised price per share calculated from April 30, 2009 to September 30, 2009, or to date of acquisition. Until such a time that KGLI-NM completes a 100% acquisition Aboitiz family members will retain key management positions. Under the original deal they were to step down. ?We will of course allow [KGLI-NM officials] certain management positions and seats on the board that they are entitled to,? Mr Paradies said. Should KGLI-NM not take up the option to acquire the 51% stake, Aboitiz will remain the majority shareholder. Aboitiz"s shipping business has been facing higher operating costs and falling passenger volumes due to competition from budget airlines. It was looking to use the sale as a means of focussing on its other businesses, such as power generation.